The OSS Critical Mission Response Rig II is an updated version of our popular Critical Mission Rig. 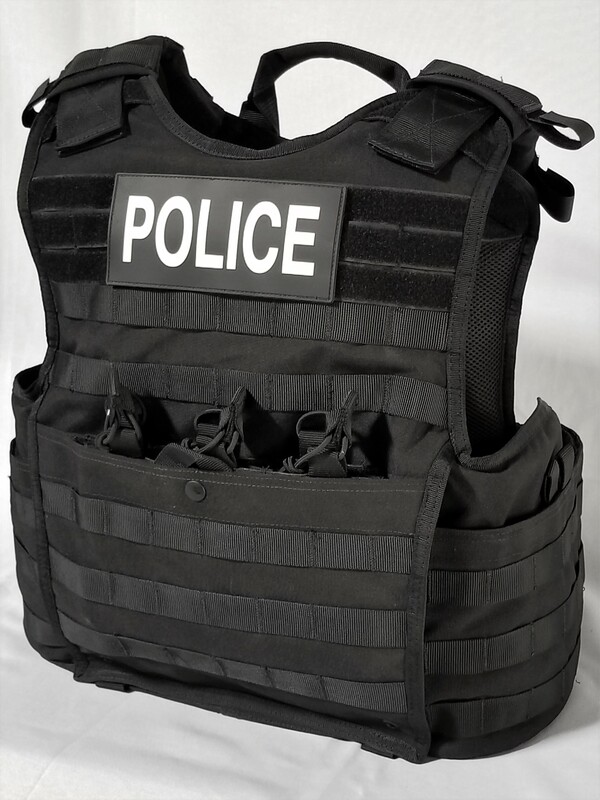 The II can now accept all concealable body armor soft panels and Rifle Plates in multiple sizes. The interior now has a divided area specifically to hold your Balcs/Spear cut soft concealable armor panels. The interior also has a dedicated pocket that holds up to a large 10x13 rifle plate and is sealed with a velcro strap and closure system. The Critical Mission Rig II also comes with a covert triple rifle magazine pouch that is concealed in the kangaroo pouch of the vest and an 6x6 admin pocket on the upper back at the nape of the vest to hold our Hostile Extraction Lanyard or whatever else you may need. The new material is a more rugged nylon with reinforced stitching in haevy use areas. The internal face of the vest is all breathable mesh for rapid wicking of moisture and more comfort. The new shoulder pads are completely removable/adjustable along with the quick release buckles on the rear shoulder. This rig comes in more of a fitted cut so please specify size when ordering. This ig is also built for the Patrol Officer in mind that is the first arriving officer on scene at any Active Shooter Scenario. Often times the Patrol Officer is out gunned and ill-equipped at these dynamic scenes. This armor package will put the odds back in the officer’s favor. It is designed to be donned and doffed rapidly within 12-16 seconds for most officers. It is designed with armor piercing rounds protection in mind. The Rig is equipped with our OSS level IV NIJ 010.06 stand alone, muilti hit capable advanced plates front and rear. The Carrier itself is designed to hold up to an XL Rifle Plate 11x13 accomodates soft armor panels as well. It has complete side / cummberbund coverage and can be loaded with any side armor plates or soft panels up to 5x15. It is fully adjustable and has quick release 2" snap buckles on the shoulders for easy out. This new proven design is rapidly becoming a standard platform for most Tactical and Hostage Rescue Teams throughout the nation. Includes Armor Plates: (2) OSS NIJ 0101.06 Level IV Stand Alone, Multi Hit Plates (Monolithic Ceramic / Polyethylene) SAPI/ESAPI and single curved to fit the body and offer comfort for longer deployments. They are stand alone, 10x12, multi hit capacity and only weigh in at 6.9lbs.